Today was our youngest son’s birthday so I am taking the night off to relax and reflect. It’s not such a bad thing when you have awesome kids like I do. 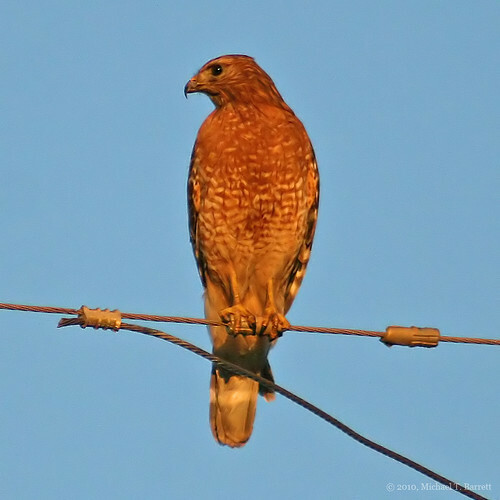 This beautiful Red-Shouldered Hawk sat still just long enough for me to get this shot. The sun was setting, I was losing light fast, but I couldn’t have asked for a more willing subject.